The Giants were ahead of the curve in their approach to the running back position in the second half of the last decade. They built a very strong offensive line and told a committee of serviceable backs to find the hole. Brandon Jacobs, Ahmad Bradshaw, and Derrick Ward all found great success in New York and nowhere else. The Giants’ lack of explosive talent at the running back position is nothing new, but it will prove problematic in the absence of an overpowering offensive line. 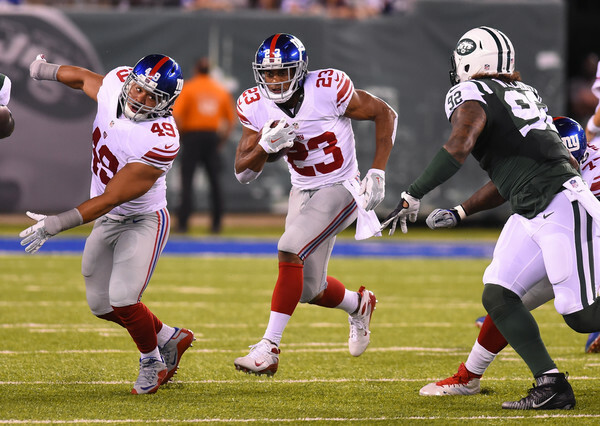 Presumptive starter Rashad Jennings has been inconsistent and disappointing to this point in his career. Shane Vereen has earned a reputation as a reliable option out of the backfield in passing situations, but, like his quarterback, his statistics flatter his performance with raw snap count totals padding his stats. Not having huge talent at the running back position is hardly the death sentence it once was in 2016’s NFL, but the Giants shouldn’t be expecting a lot of contributions here. What success they’ll have in the running game will surely come up the middle. The Giants’ offensive line does have a very solid interior thanks to Justin Pugh and especially Center Weston Richburg. Expect this running game to stay almost entirely between the Tackles, because the Giants’ depth chart at Tackle is an absolute mess. Ereck Flowers and Marshall Newhouse were both disasters last season. There’s hope for Flowers as young offensive lineman often need time to adjust, but Giants fans would be wise to shake in their boots every time they face defenses with a good edge rusher or two. A lack of protection kills the passing game and the Giants’ offensive line and running backs are not good enough together to be the base of successful offense. Instead, offensive production will need to come primarily from the passing game. 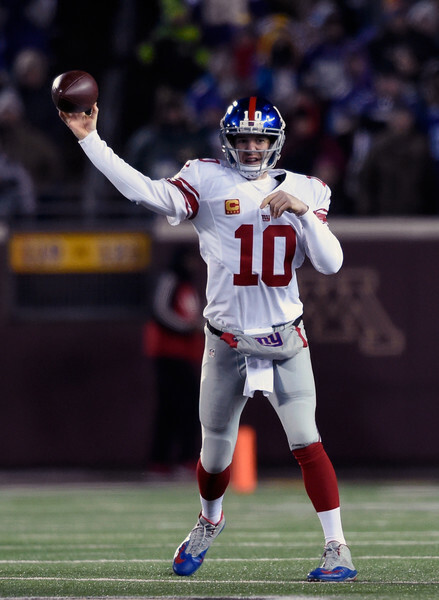 At his best, Eli Manning is still one of the NFL’s better Quarterbacks and capable of leading a high-powered offense. However, Eli Manning “at his best” is becoming a progressively rarer sight as he continues to follow a typical age curve for NFL Quarterbacks. Manning’s statistics from 2015 are deceptively impressive, owing the entirety of their raw totals to a heavier passing workload than he’s ever had before. He could well end up with 30 Touchdown passes this season, but if that comes to pass, it will likely be thanks to a healthy number of passing attempts rather than brutal effectiveness. Manning does have the built-in advantage of a generational talent at Wide Receiver. On his best day, Odell Beckham, Jr. is the best wide receiver on Earth. On a typical day, he’s better than all but one or two. Beckham’s hands made him famous as a rookie with his physics-defying catches, but his ability to get separation from his man is what makes him truly special. He’s a board member of the NFL’s Always Open Club and watching him play will be a treat for all fans (unless their team is playing the Giants. Hell, even if their team is playing the Giants). Beckham is one of few receivers who does not need any distraction from secondary options to get open, and that’s a very good thing for Eli Manning, as secondary receiving options are few and far between on this roster. The Giants might have this year’s not-so-coveted title of NFL Offseason Champions with all the money they threw at their defense. The defensive line is, on paper, the strongest unit on the entire team with new additions Olivier Vernon and Damon Harrison bringing help to the surprisingly effective Jason Pierre-Paul. If the starters stay healthy, this has a chance to be one of the nastier defensive lines in the entire league. Whether or not free agent talent coalesces into an effective whole can also be a dubious proposition, but there’s reason for a lot of cautious optimism. They’ll need to be effective in front of a blissfully “meh” collection of linebackers. Jasper Brinkley is a solid run-stuffing interior linebacker. Every other position is filled with either an inexperienced player with limited upside or a free agent who’s never really made an impression with any other team. Playing behind a defensive line as good as this one could be can make linebackers look a lot better than they are, particularly in run protection, but this unit is nothing worth writing home about. 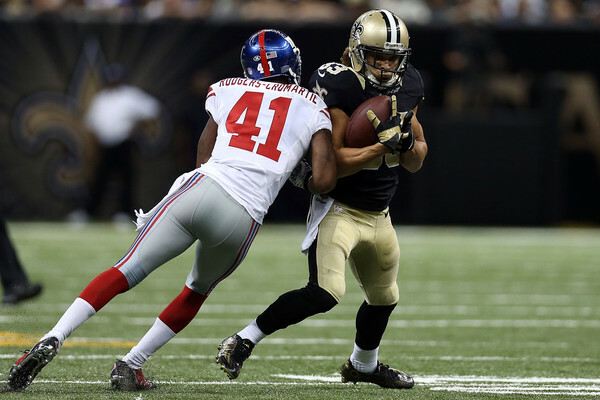 The Giants’ secondary is quite the mix of good and bad. Cornerback Dominique Rodgers-Cromartie carried on very effectively last season. His status as one of the League’s more underrated players remains firmly intact. On the other side of the field, the Giants will be fielding either first round draft pick Eli Apple or, more likely, unspectacular but solid free agent addition Janoris Jenkins. It’s hard to imagine that the Giants drafted Apple 10th without envisioning him as an every-down player down the line, but the performance of rookie safety Landon Collins one season ago might make them skittish about starting rookie defensive backs. Collins figures to improve, but he would have to improve a great deal to even rank among the top half of starting Strong Safeties. The other central role in New York’s secondary is an absolute shitshow. 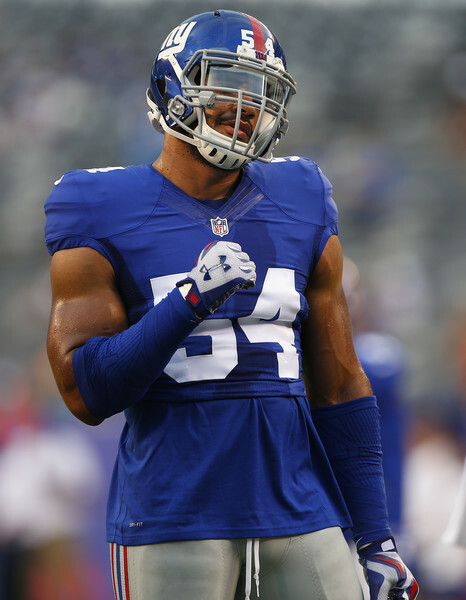 A job is there to take for any one of the Giants young and inexperienced options, with 3rd-round rookie Darian Thompson the current odds-on favorite. The running game is able to grind out tough yards through the middle, giving Eli Manning just enough help on offense to produce a solid season. Odell Beckham continues his early-career tear, leading all wide receivers in yards and touchdown receptions. The defensive line comes together immediately, giving opposing quarterbacks and running games fits. The combination of a great pass rush and good cornerback play is able to mostly cover up the clear holes in the middle of the defense. Eli Manning begins his end-of-career spiral and the offense is ineffective all year apart from the occasional heave to Beckham. The defensive line meets the same demise as many other free agent spending sprees where the whole is somehow less than the sum of its parts. The League’s worst safety tandem is routinely exposed by opposing quarterbacks and New York finished last in the NFC East. Eli Manning still has enough in the tank to turn a few games in New York’s favor and Odell Beckham is just too damn good to not be devastatingly effective. The defensive line should be quite good, but no pass rush in the NFL is good enough to completely paper over the problems the Giants have in the middle of their defense, much less a pass rush that figures to get as little contribution from the linebacker positions as this one. The Giants will be better, but Manning’s advancing age and New York’s unavoidable defensive shortcomings will keep them out of the playoffs.